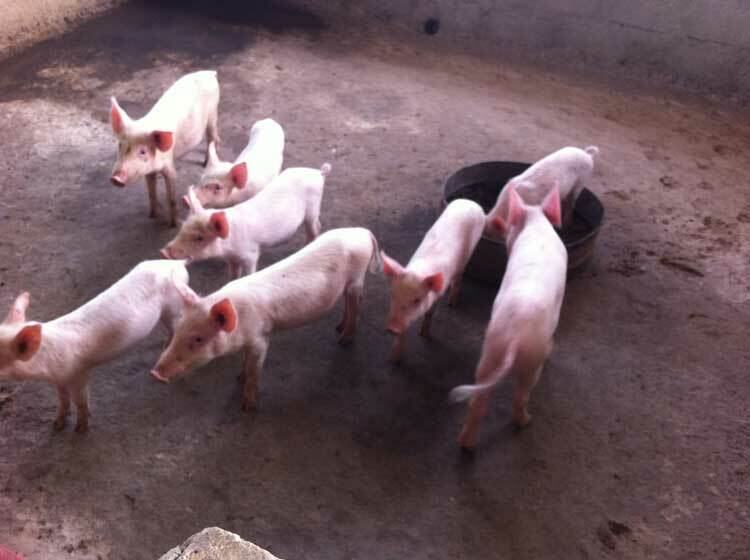 As a part of Espoir Jeunes’ objective of financial self-sustainability, the association has invested in the construction of infrastructure to raise and sell pigs and chicken. The idea behind the construction of these facilities originates from the fact that local production of meat and eggs is very limited, and most produce is imported from neighbouring Ivory Coast and Ghana. Investment in local production thus gives us a competitive advantage over foreign producers given their high transportation costs (climatic and road conditions are particularly difficult in the region). We are continuously upgrading this operation to progressively reach our objective of 100% self-sustainability in the upcoming 2 years.